His Story: J.A.R.V.I.S. began life as a natural language UI (user interface), named after Edwin Jarvis, Howard Stark’s butler. Tony Stark developed him to assist with his work, and turned over much of the operation of Stark Industries’ tech to the program, as well as maintenance of the Iron Man suit. It can communicate using everyday vernacular, and even shows flashes of wit on occasion. 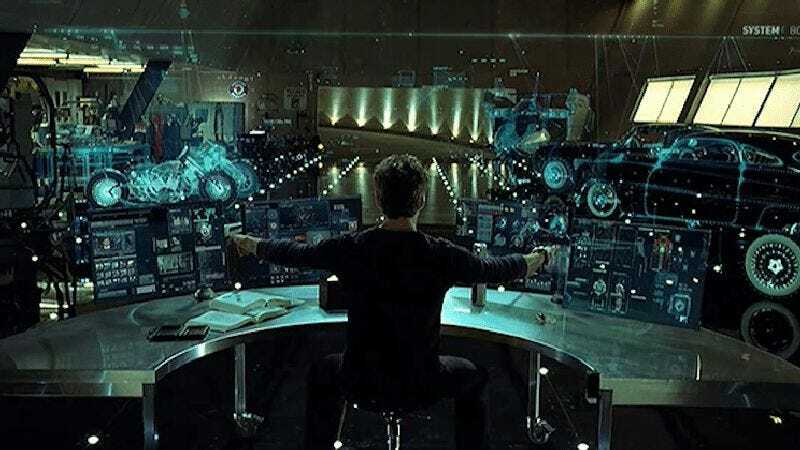 It interacts with Tony in all three Iron Man films and The Avengers. However, during the events of Avengers: Age Of Ultron, J.A.R.V.I.S. is attacked by the malevolent AI program Ultron. It manages to survive, however, and works secretly to prevent Ultron from acquiring nuclear launch codes. J.A.R.V.I.S. is then uploaded to the organic/inorganic hybrid body Ultron was uploading his own consciousness into—the Vision, a new being created out of both Ultron and J.A.R.V.I.S. Played by: The voice of Paul Bettany, who then plays the role of Vision in Age Of Ultron and Captain America: Civil War. Currently, J.A.R.V.I.S. is: No more. Where will we see him next? While a cameo in other Phase 3 films is possible, he’ll certainly be back (as part of the Vision) for Avengers: Infinity War in 2018.